The land of the Basque people, split between Spain and France, is a "nation without a state" — left off the map when they drew Europe's national borders. The Basque Country is often left out of travel itineraries too, and that's a mistake. With sunny beaches, spectacular modern architecture, tasty tapas, and feisty, free-spirited people, this region is filled with cultural treats. Much unites the Spanish and French Basque regions: They share a striking Atlantic coastline, with the Pyrenees Mountains soaring high above the Atlantic. They have the same flag, similar folk music and dance, and a common language, Euskara, spoken by about half-a-million people. Both, after some struggles, have been integrated into their respective nations. And, because the European Union is interested in helping small ethnic regions as well as big countries, the Basques are enjoying more autonomy. Wherever you go, your Basque sightseeing should be a fun blend of urban, rural, cultural, and culinary activities. Devote at least a day to each country: Sleep in one, then side-trip into the other. In Spain, San Sebastián is the heart of the tourist's Basque Country, with its sparkling, picturesque beach framed by looming green mountains and a charming Old Town. 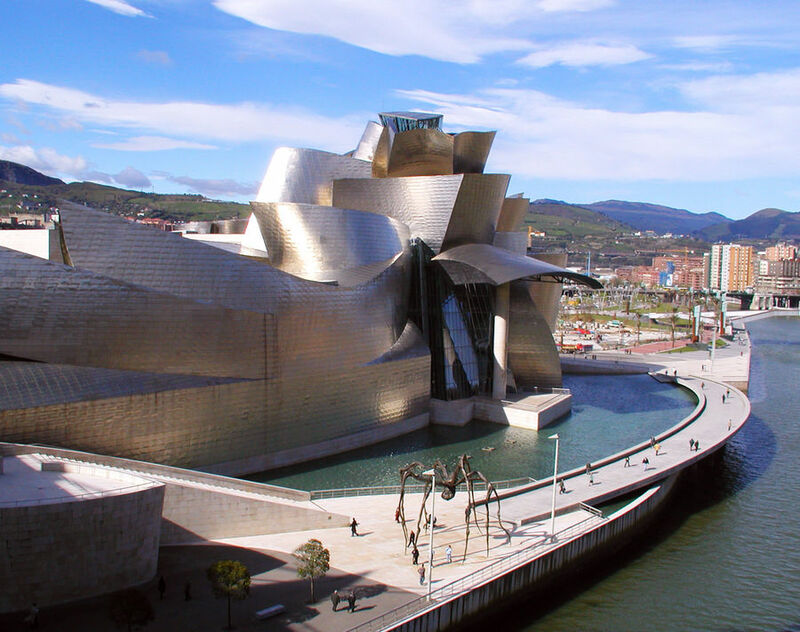 On-the-rise Bilbao is worth a look for its landmark Guggenheim art museum (designed by Frank Gehry) and its atmospheric Old Town. Compared with their Spanish cousins, the French Basques seem French first and Basque second. My favorite home base here is the central, comfy, and manageable resort village of St-Jean-de-Luz. It's a stone's throw to Bayonne (with its "big-city" bustle and good Basque museum) and the snazzy beach town of Biarritz. On both sides of the border, traditional village settings reflect the colors of the Basque flag: Deep-red and green shutters adorn bright white chalet-style homes scattered across the lush, rolling foothills of the Pyrenees. Spared the beach scene development of the coast, these villages offer a more rustic glimpse of Basque culture. If you know where to look, Basque customs are strong and lively…perhaps nowhere more so than in one of their favorite sports, jai alai. Players use a long wicker basket to whip a ball — smaller and far harder than a baseball — off walls at more than 150 miles per hour. 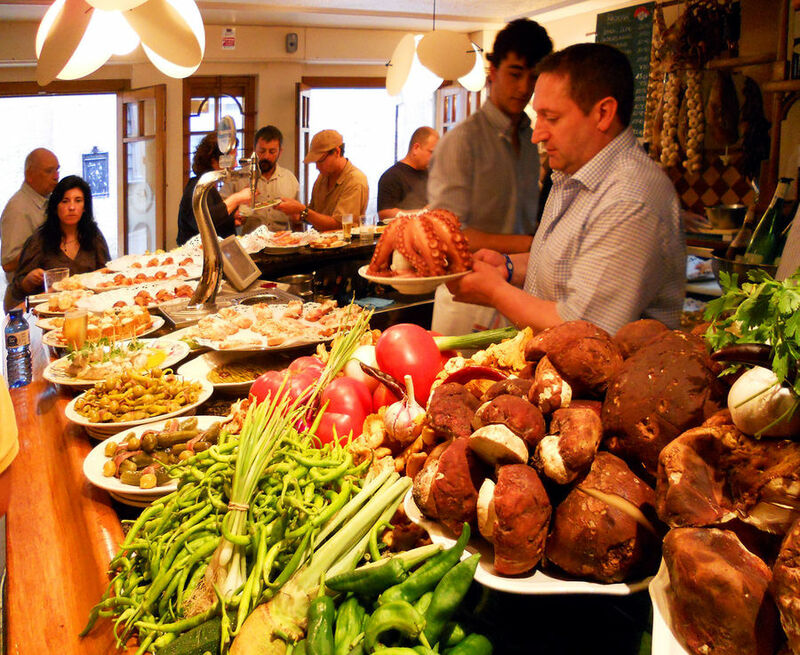 Offering less adrenalin but just as much Basque culture are men's gastronomic clubs. Common throughout Basque Country, these range from more working-class communal kitchens to highbrow versions with extensive wine cellars and culinary libraries. The clubs serve several functions: They provide a men's night out in a matrilineal society, where women run the show at home. They're also a place where friends who've known each other since grade school can enjoy quality time together, speaking Euskara and savoring traditional ways in today's fast-paced world. And, it's a place where men cook together and celebrate Basque food-related traditions. Mixing influences from the mountains, sea, Spain, and France, Basque food is reason enough to visit the region. 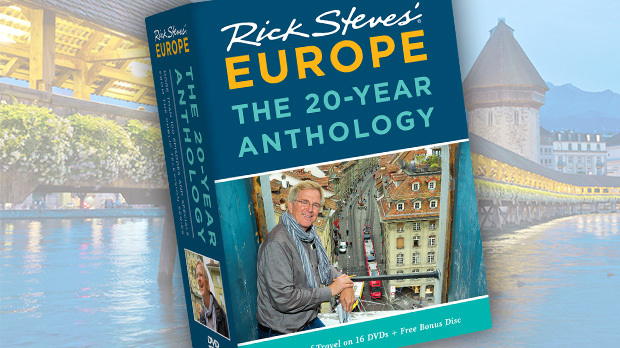 The local cuisine — dominated by seafood, tomatoes, and red peppers — offers some spicy dishes, unusual in most of Europe. On the Spanish side, hopping from bar to bar sampling pintxos (tapas) is a highlight of any trip. Local brews include sidra (hard apple cider) and txakoli, a light, sparkling white wine — often theatrically poured from high above the glass for aeration. You'll want to sample the famous pil-pil, made from emulsifying the skin of bacalao (dried, salted cod) into a mayonnaise-like substance with chili and garlic. The red peppers (called piments d'Espelette) hanging from homes in French Basque villages give foods a distinctive flavor, and often end up in piperade, a dish that combines peppers, tomatoes, garlic, ham, and eggs. Peppers are also dried and used as condiments. Look for them with the terrific Basque dish axoa (a veal or lamb stew on mashed potatoes). Don't leave the area without trying ttoro, a seafood stew that is the Basque Country's answer to bouillabaisse or cioppino. To satisfy your sweet tooth, check out gâteau Basque, a local tart filled with pastry cream or cherries from Bayonne. While their cuisine is easygoing, the independent-minded Basques are notorious for being headstrong. But, as a culturally and linguistically unique people surrounded by bigger and stronger nations, the Basques have learned to compromise while maintaining their identity. 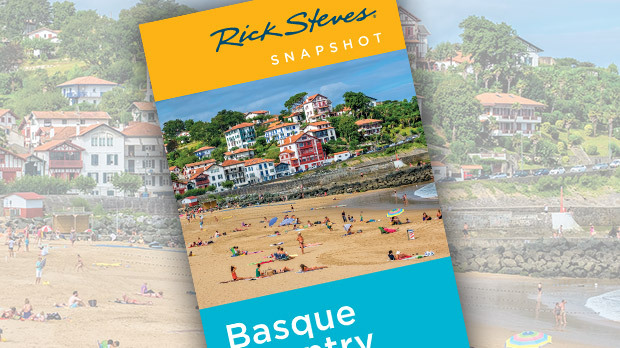 Though split between France and Spain, Basques maintain a vital culture, and a visit here provides a vivid look at the resilience of Europe's smaller ethnic groups. Wherever you go, you'll find the region colorful, fun, welcoming…and unmistakably Basque.